Peru, along with being the home to Paddington Bear is the ninth largest coffee producer in the world. Most of Peru’s coffee farms are less than 2-3 hectares in size and spread across three main growing areas – North (Amazonas, Cajamarca, San Martin), Central (Junin) and South (Cusco, Ayacucho and Puno). These regions all lie on the eastern slopes of the Andes, where they benefit most from elevation and favourable climatic conditions at altitudes between 900-1800 masl. Whilst conditions are optimal for the production of good quality coffee, there are significant challenges in relation to farm’s geographic isolation. It's a bit hilly over there! Smallholders use hand pulpers at micro-milling stations before transporting their coffee, often on foot over difficult terrain, for anywhere between thirty minutes and eight hours to reach their nearest town plaza, where the coffee is then transported onwards. For this reason, we don't see as many quality Peruvian coffees as we should and, when a special micro-lot becomes available, we grab it. 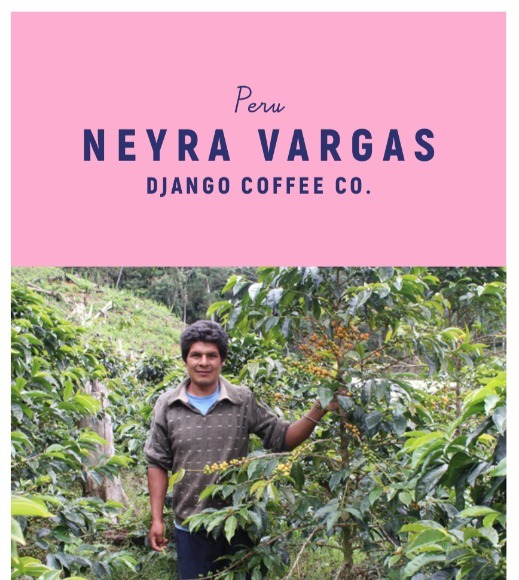 Horacio Neyra Vergas is the owner of a small 2-hectare farm, La Lima, in the El Cautivo area of La Coipa. The farm is planted almost entirely with 30-year-old Typica, all of which Horacio planted himself all those years ago.